I make banana bread a lot. Not because I love it so much (although it does come in handy as an easy hybrid breakfast/afternoon snack). 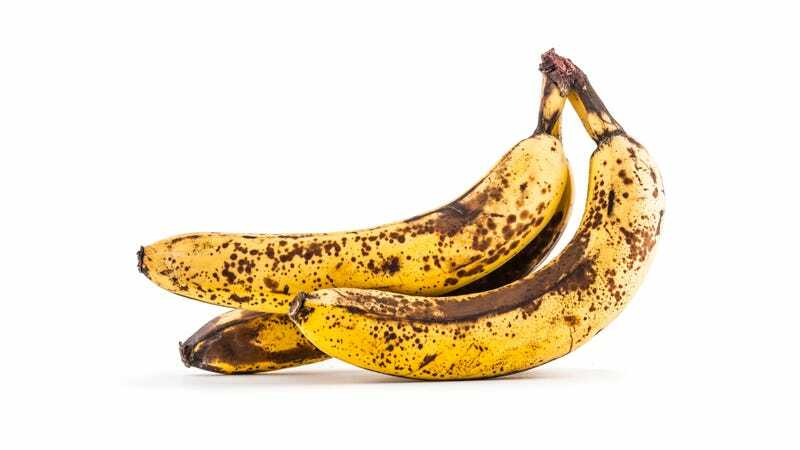 But because when I purchase bananas, there’s a pretty good chance I’m not going to use them all in time, and banana bread is the best use I know for the dreaded black banana. But relief for bad banana fans like myself may be in sight: Time reports that “Korean grocery store E-Mart has come up with an idea for having too many ripe bananas.” It sells bananas in various stages of ripeness, so that you can eat one a day, instead of eating one the first day and making banana bread five days later. This is great: just a simple, ingenious packaging solution. Can we extend this idea to other problematic produce? Avocados, perhaps—or mangoes, or tomatoes—maybe with individual stickers on the fruit announcing the best eat-by date? After all, we now know the perfect place on the avocado to tell whether it’s ripe, and ways to ripen fruit and vegetables. But my problem is when they get too ripe. Because there are some fruits that no amount of planning seems to help—why do strawberries always seem to go bad overnight? Honestly, I do try to do most of my grocery shopping in the produce section, but sometimes it’s difficult. Maybe I just need to do more baking.